The review and interpretation of myocardial perfusion images is the key duty of a nuclear cardiologist and must be performed in a systematic fashion (Table 16.1). Tilkemeier PL, Cooke CD, Grossman GB, McCallister BJ, Ward RP. 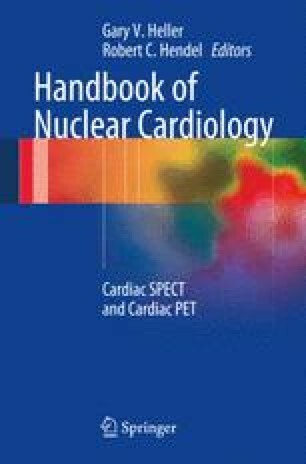 ASNC imaging guidelines for nuclear cardiology procedures; standardized reporting of radionuclide myocardial perfusion and function. J Nucl Cardiol. 2009. doi: 10.1007/s12350-009-9095-8.